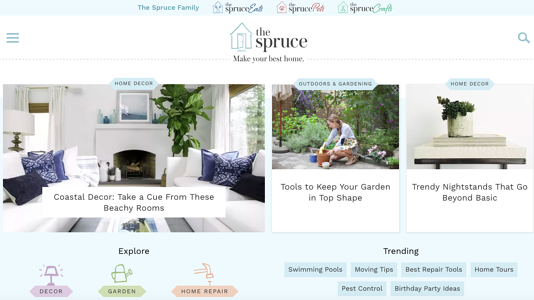 The Spruce is a lifestyle goldmine (now with comments powered by Disqus😃) that brings excitement and ease to all things home, pet, food, and craft related. From conquering ordinary chores to taking on more consuming projects, The Spruce offers the necessary guides, tutorials, advice, and inspiration to help you be successful. Whether you’re looking for kitchen renovation advice, a guide to throwing a Tapas party, a killer dessert recipe (did someone say homemade nutella? ), or housekeeping tips and tricks, they’ve got you covered. Do you read The Spruce? If so, what are some of your favorite posts? Have you tried out any of the projects or recipes they offer?